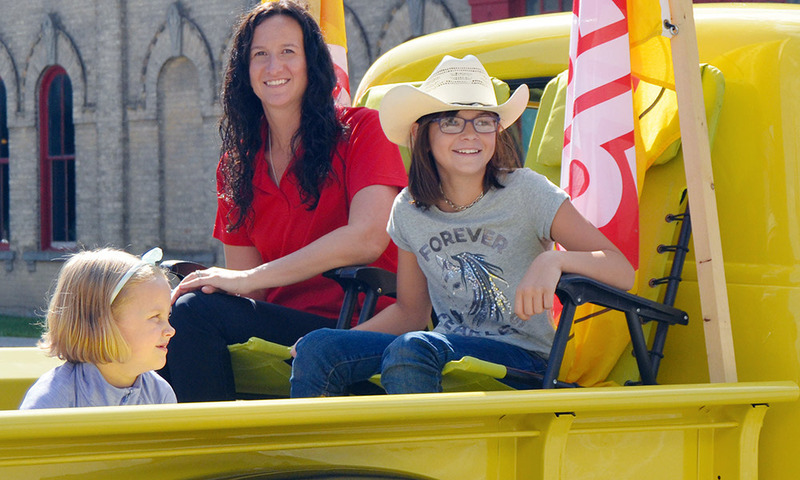 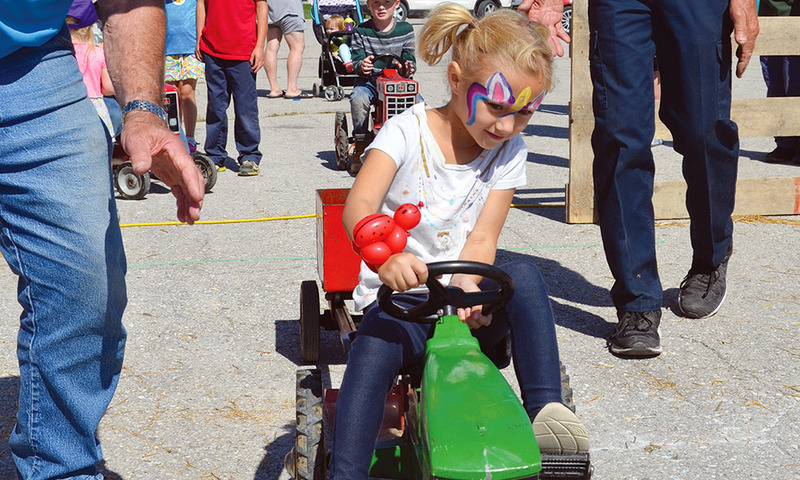 After last year’s ambitious plan to host the fair at the International Plowing Match in Walton, this year represented a big year for the fair as it returned to its home community. 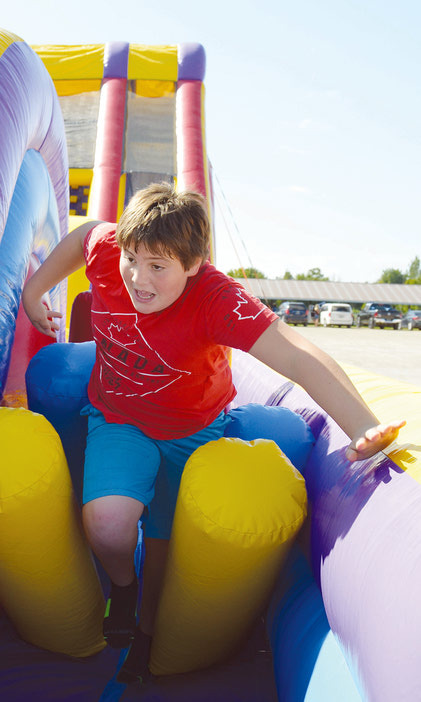 The move to Walton in 2017 paid off as a number of events at this year’s fair were more well-attended than they have been in years. 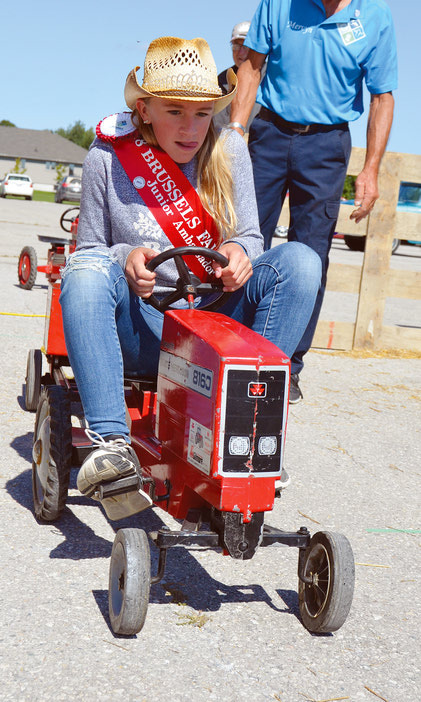 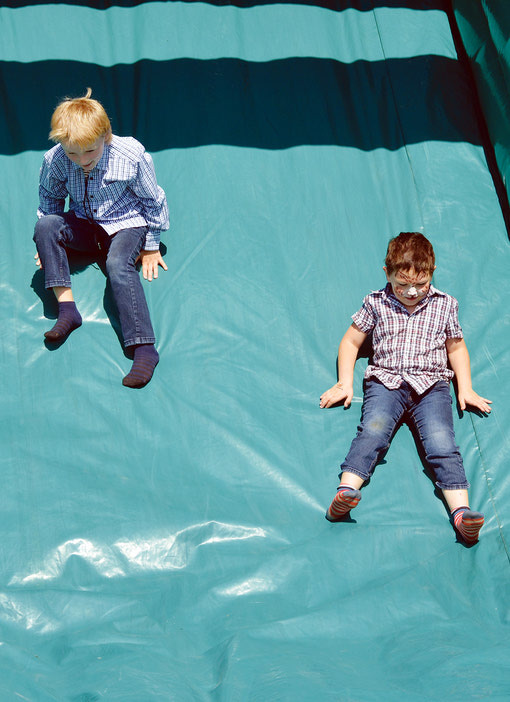 The fair began with a tailgate supper hosted by the Brussels, Morris and Grey Recreation Committee, which fit in with the fair’s “Tractors and Tailgates” theme. 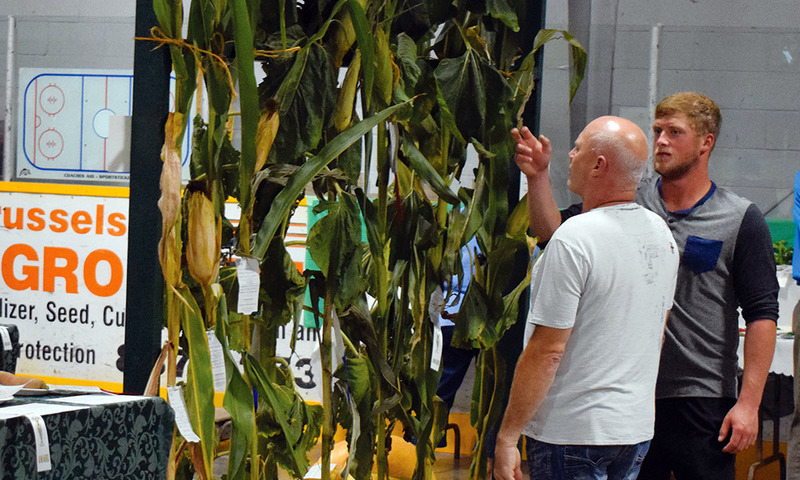 The dinner sold out to the large crowd there on opening night of the fair on Tuesday, Sept. 18, which was an early success for the fair. 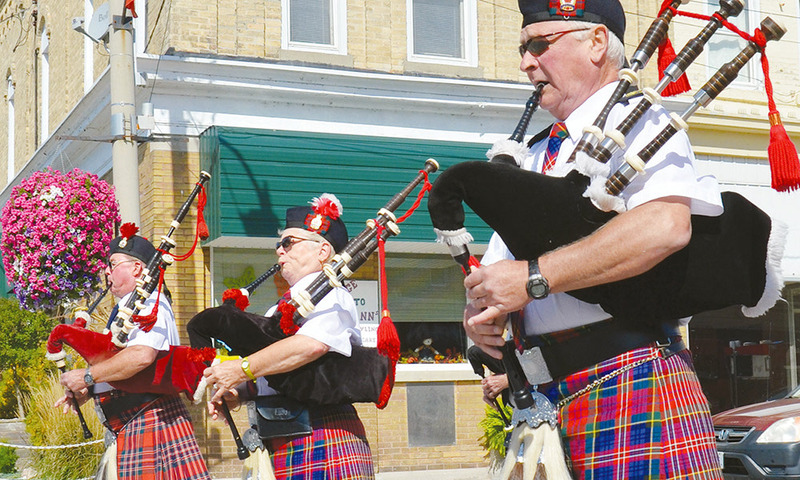 Organizers later that night held the opening ceremonies, which were attended by Huron East Mayor Bernie MacLellan and Morris-Turnberry Mayor Paul Gowing. 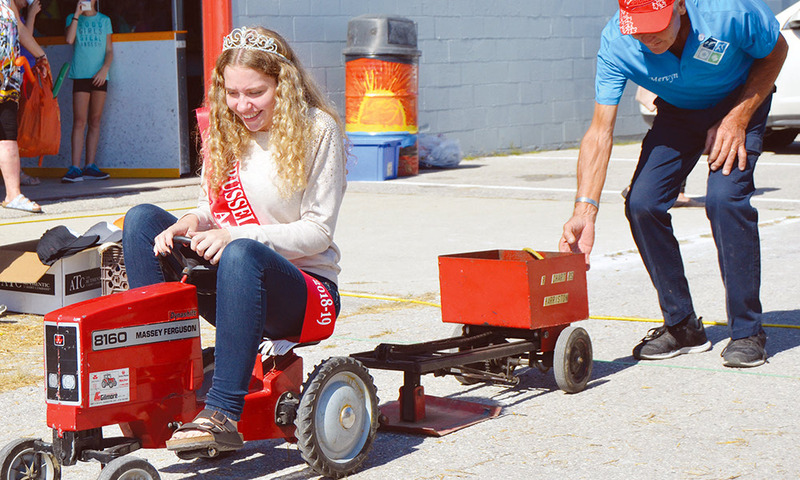 They then held the dog show, pedal lawnmower races and hosted a mechanical bull for the Tuesday night of the fair. 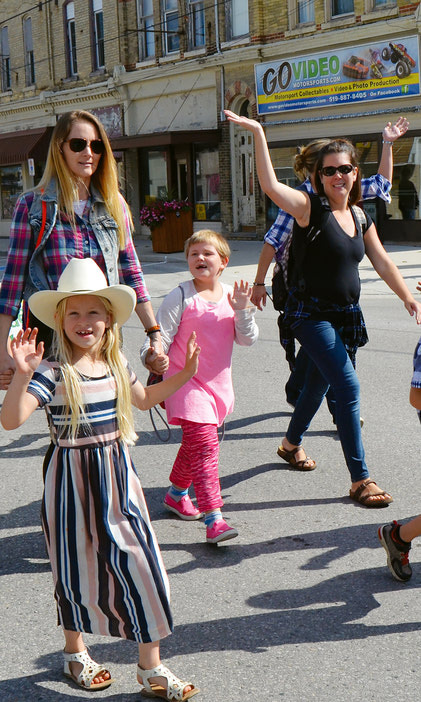 In addition, members of the newly-formed Brussels, Morris and Grey Community Centre renovation committee were on hand with updated plans for the centre’s renovation and expansion so members of the public could take them in and provide input. 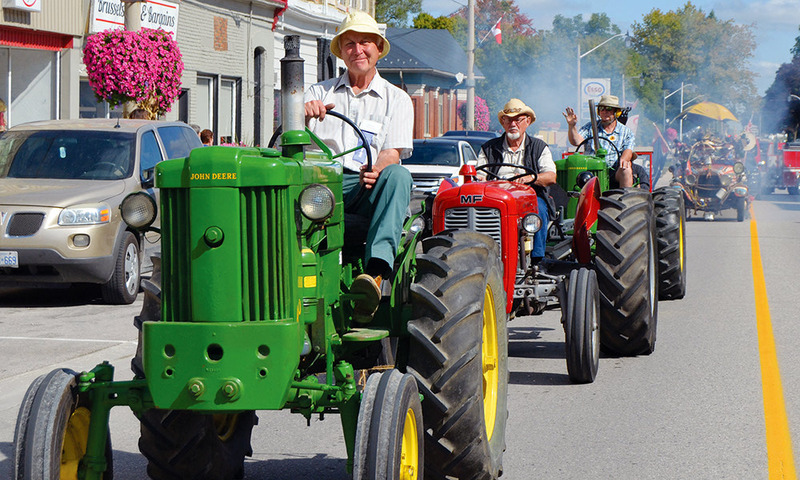 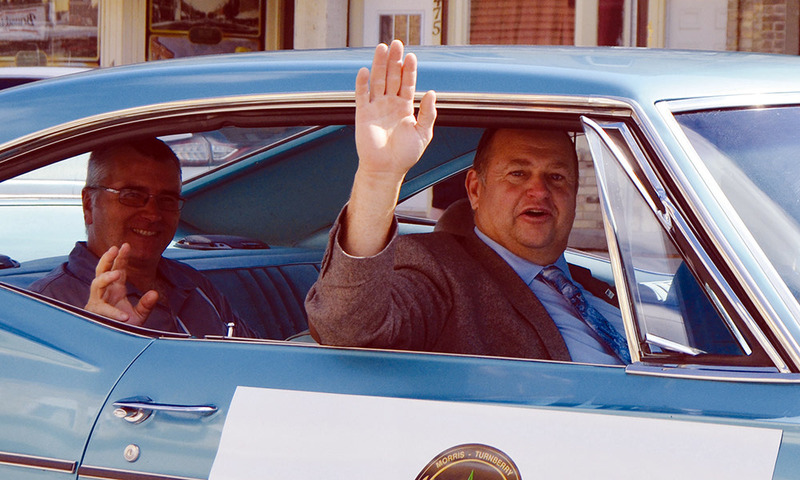 On Wednesday, the parade impressed Brussels residents as it made its way through the village. 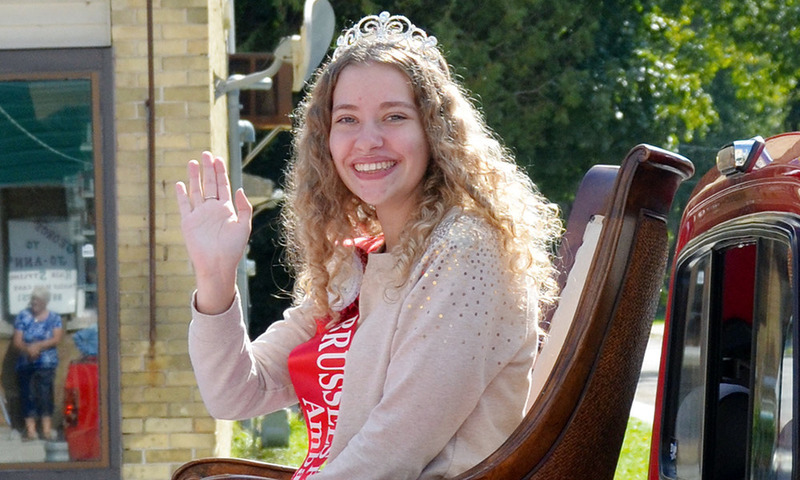 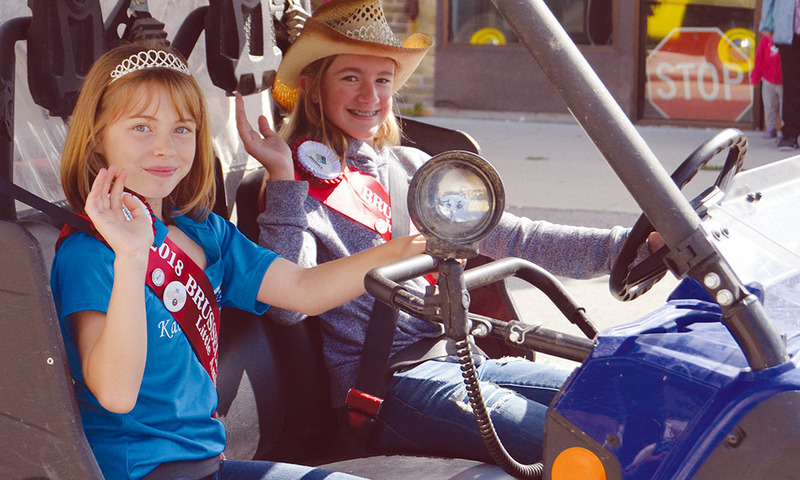 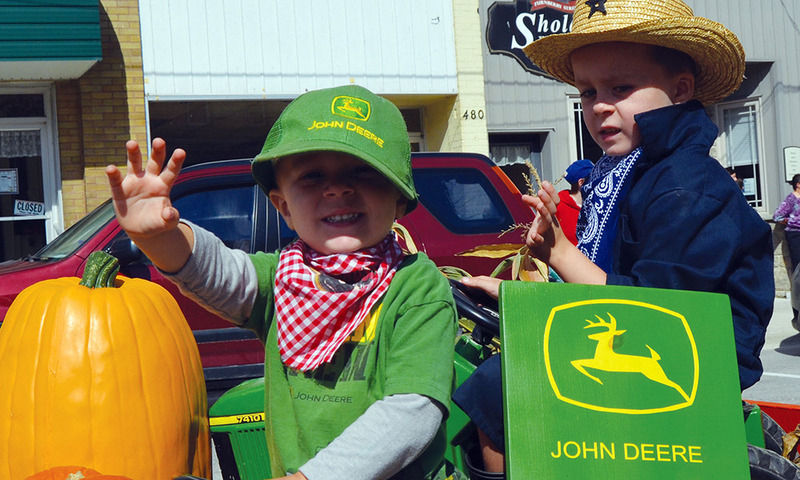 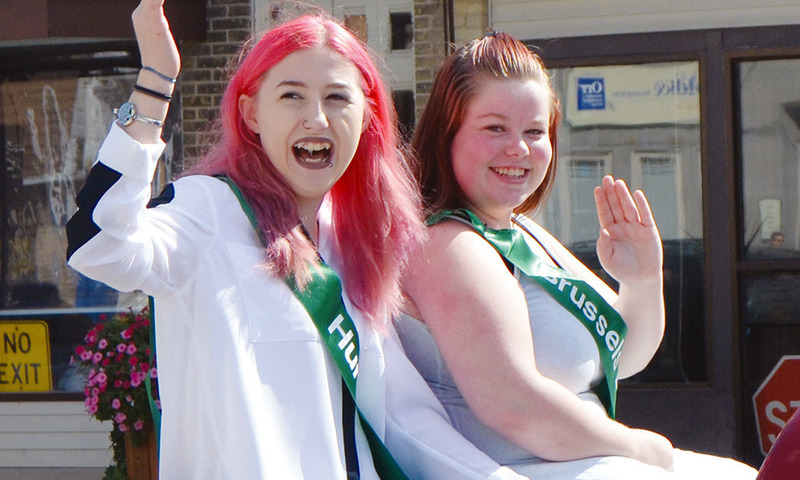 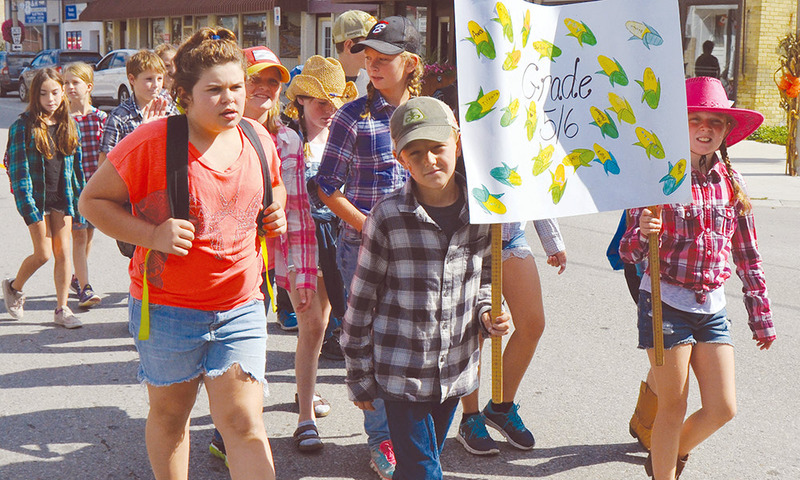 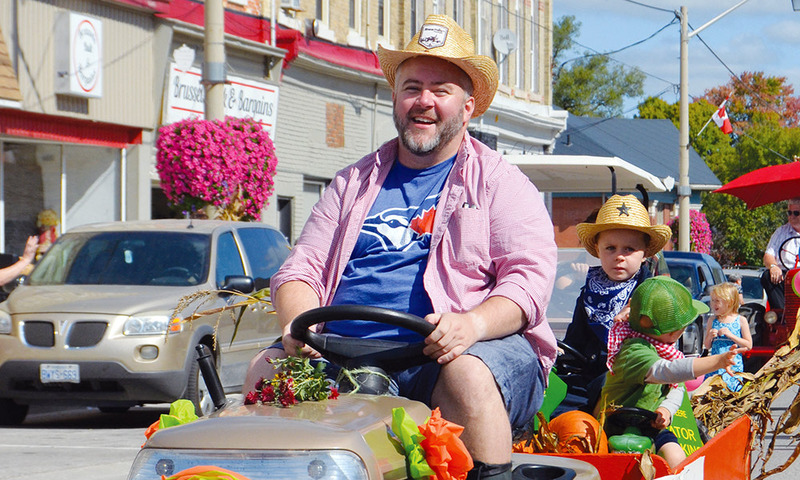 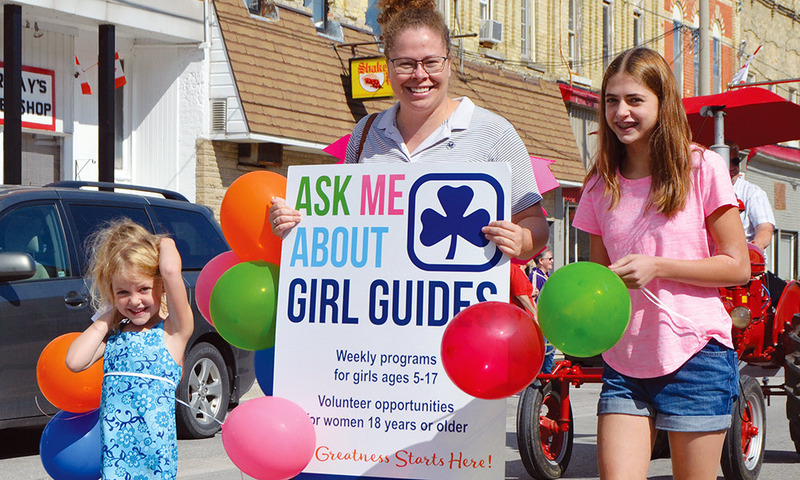 There were dozens of entries in the parade and the weather was perfect for a fall fair parade. 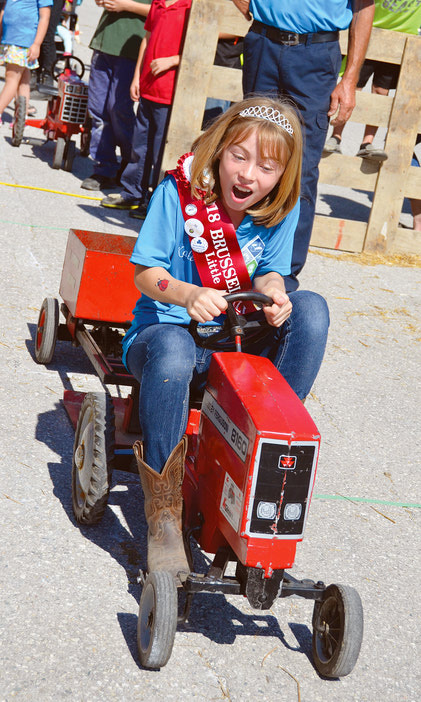 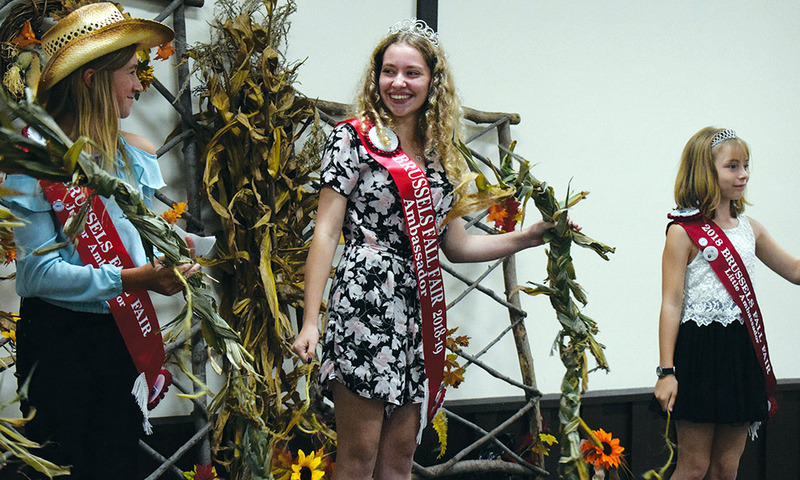 Brussels Agricultural Society President Dorothy Cummings said she was pleased with this year’s fair and thought it was a great addition to its legacy, especially after such a big year last year at the International Plowing Match. 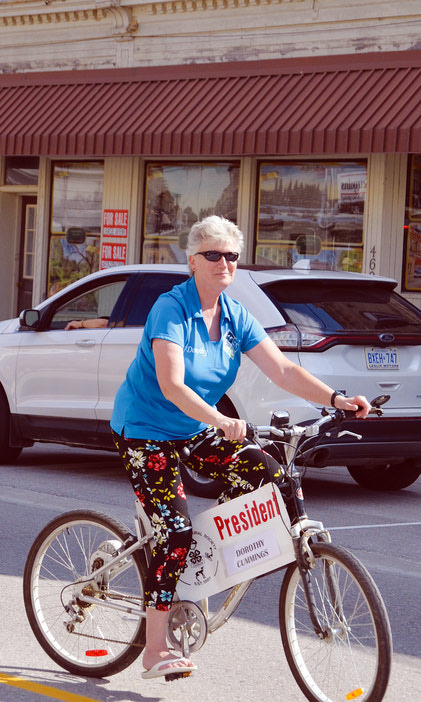 With Gord Mitchell and Neil McGavin providing tractors for the event and the trucks from Mark and Don Leslie, it made the parade so much better, she said. 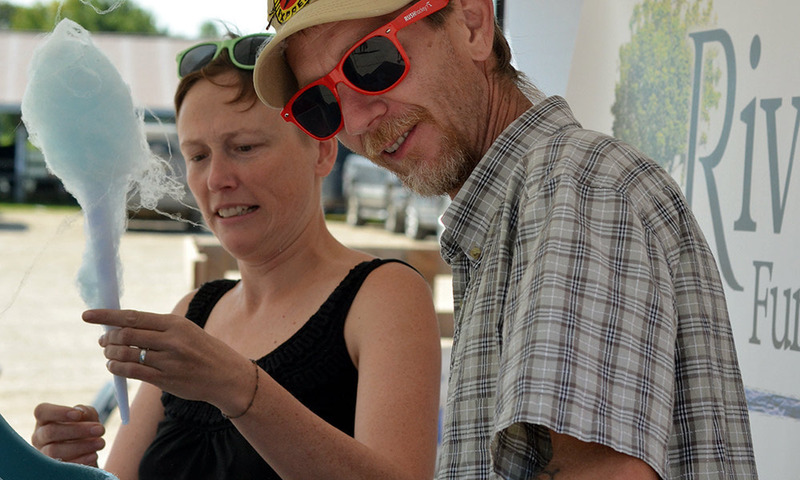 Ken Glanville and his 100-year-old truck were also a hit. 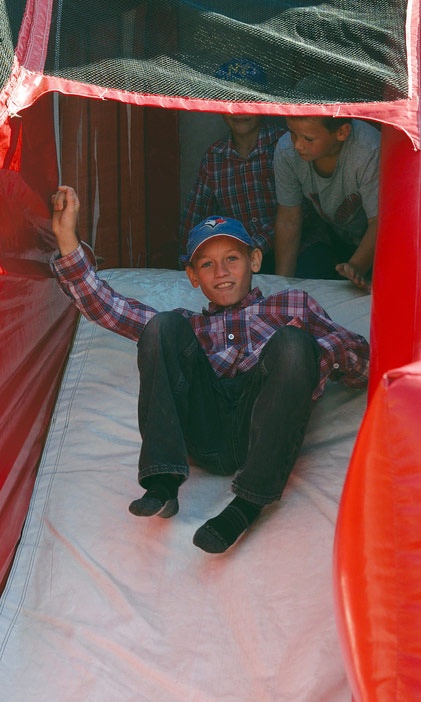 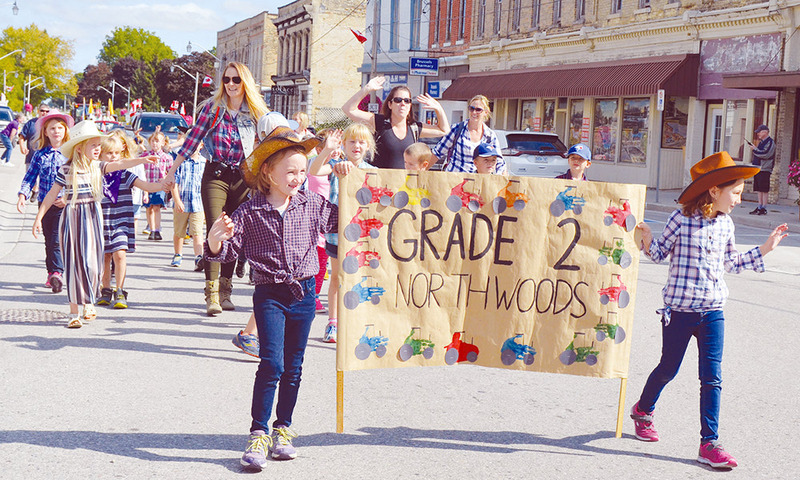 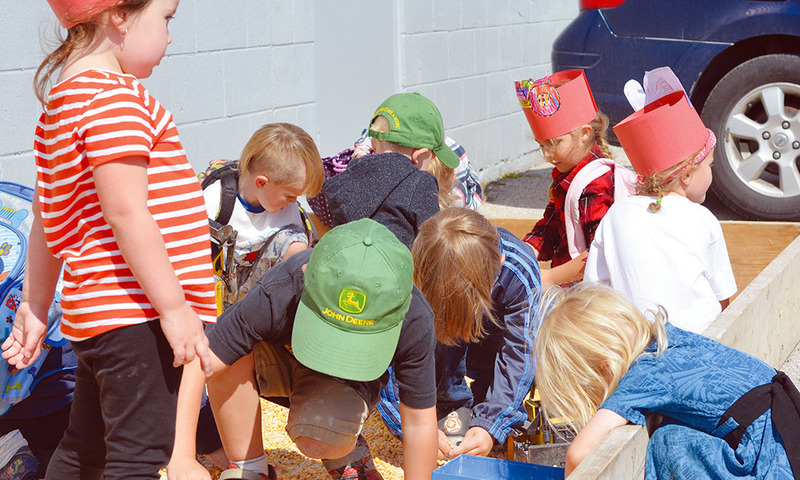 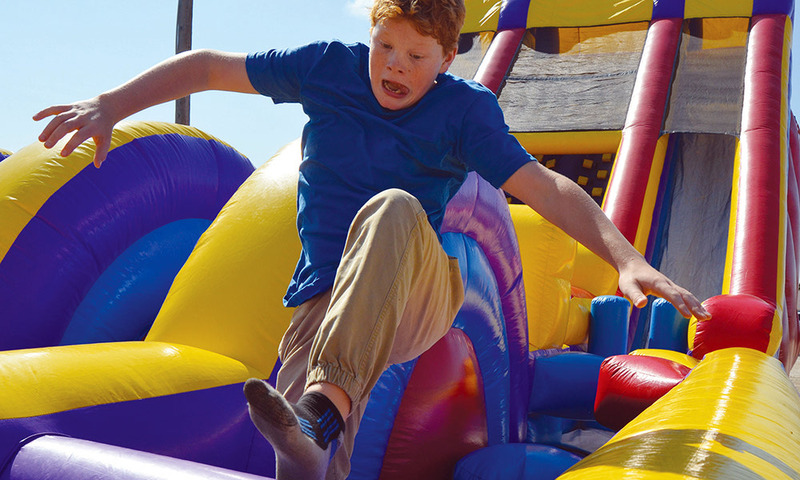 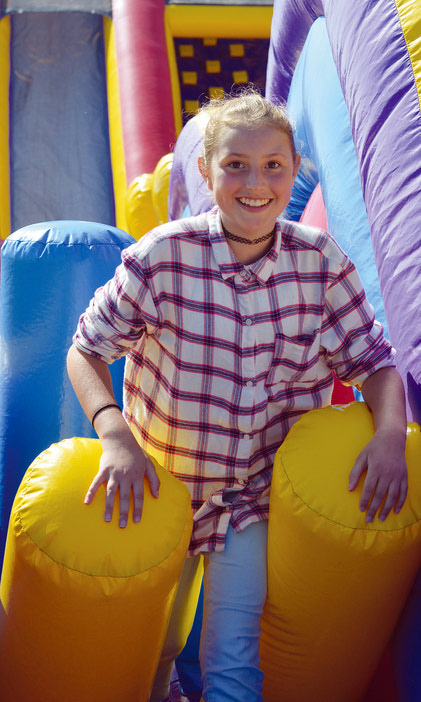 On Wednesday, with students travelling from North Woods Public School near Ethel to take part in the junior program, the attendance at the fair was high once again. 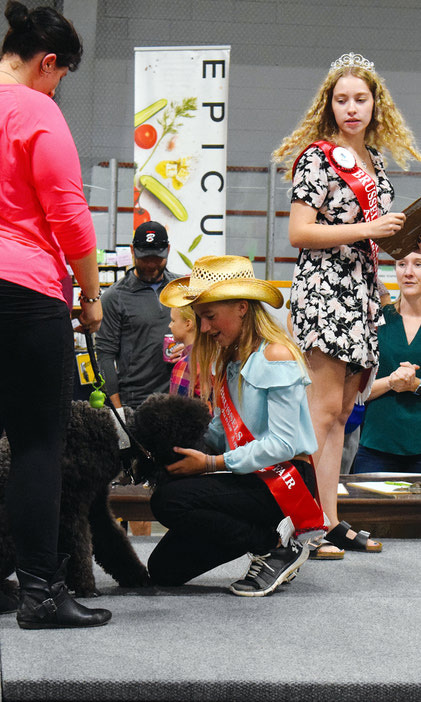 Cummings also praised the 4-H sheep and beef shows, saying that the skill and enthusiasm of the children taking part always impresses her. 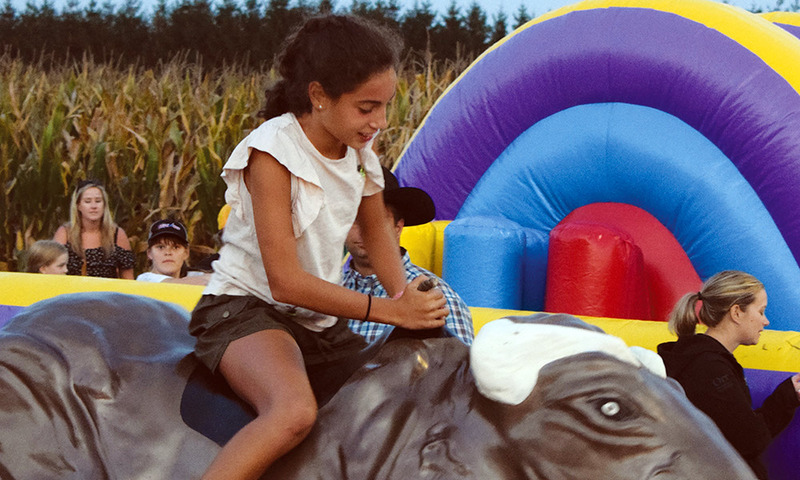 For more information on the fair, visit brusselsfallfair.ca.